So I, Katie, had a ‘shipwreck’ according to Addyson on Saturday evening. I was pretty badly shaken up but not injured. 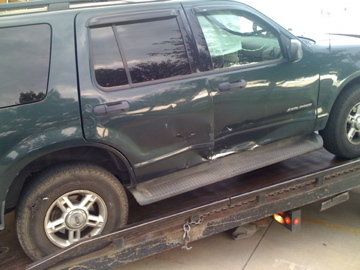 Here are some of the great photos of the damage I caused to our Explorer, yes I was at fault:(. I am just very thankful that neither of the kids were with me because Addyson’s side was hit pretty hard and her seat was bumped into the middle of the second row. 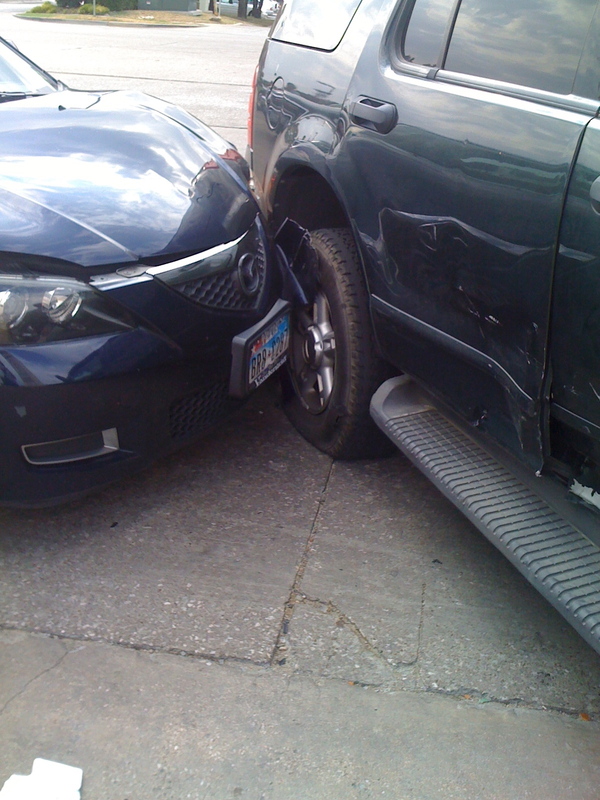 But again I am okay and the gal in the other car was okay too!